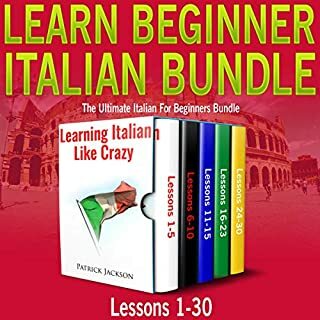 Great way to learn basic Italian! A celebration of the language and culture of Italy, La Bella Lingua is the story of how a language shaped a nation, told against the backdrop of one woman's personal quest to speak fluent Italian. For anyone who has been to Italy, the fantasy of living the Italian life is powerfully seductive. But to truly become Italian, one must learn the language. This is how Dianne Hales began her journey. 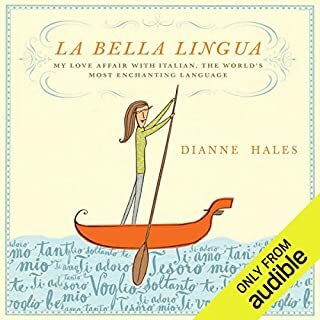 In La Bella Lingua, she brings the story of her decades-long experience with "the world's most loved and lovable language" together with explorations of Italy's history. 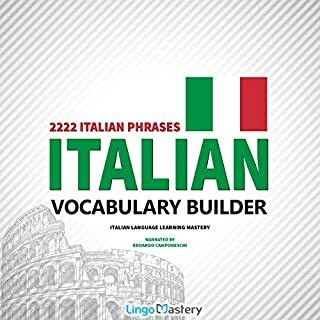 By listening a few times to these specially composed melodies, with their rhythmic repetitions of Italian and English, you will pick up over 200 essential words and phrases that will not just be on the tip of your tongue but burned deeply into your long-term memory in next to no time. 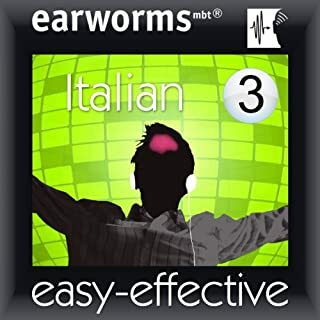 Earworms has produced a brilliant program unlike anything else on the market. 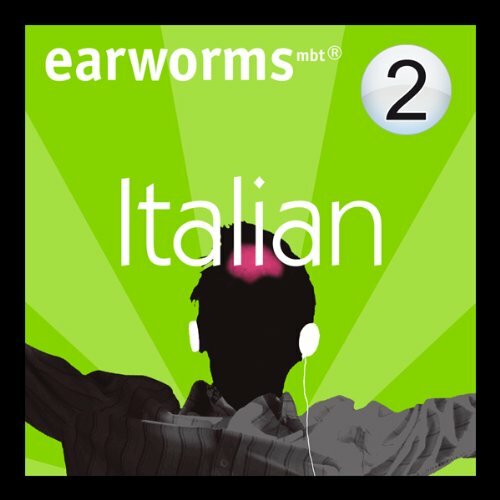 Learning a language by audiobook can be mind-numbing and repetitive, but Earworms takes up the challenge and blows everything else to hell. Setting languages to music is brilliant, I'm suprised it hasn't been done before. Chants and songs and stories are universal, they are mankind's most ancient forms of education and communication (and prevention). Pattern recognition,inflection and tone come effortlessly when learning this way. It's like immersing yourself in the culture for a whole hour. The printed guide is super useful. Reading the words while listening to them and repeating them outloud dramatically improved my recall (I didn't use the guide the first week, for some reason actually seeing the words imprinted them on my brain). After using the guide I'd say my recall shot up to about %80. I'm continually amazed by the rapidity with which I'm learning from these programs (in just 3 weeks!). As I drift off to sleep whole phrases float through my mind, unbidden. Even my step-daughter thinks Earworms is rad. I've told all my traveling friends about it, though I've only used Italian V1 and 2 thus far. I'd suggest using this program to supplement your language learning classes, or in conjunction with the standard audio lessons. Surprise yourself. I said the same for the first system of Rapid Italian, and I'll say it for the second listening program... It really works, and I am learning so much in just a few days. 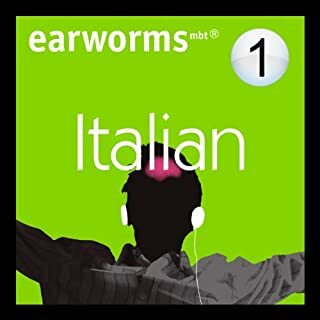 I highly recommend buying this audible listening Italian program! I have used this over and over. Love the music. I have 1 and 2 love them both. I wish they would make more!! Good instructions. The only weird stuff was the music at times. It did not for tranquil or relaxing at times. Almost made me wanna turn it off, but I wanna learn so... Yeah. Nice and easy to listen to, although don't be fooled, you shan't be speaking Italian in a few hours, it will take several listens. 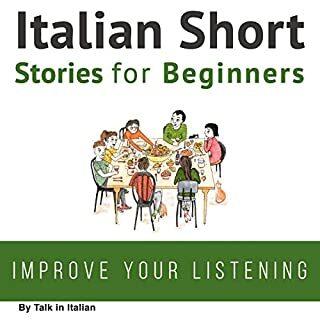 I found version one better and although some of the phrases and words on version two seemed a bit pointless to me (just my opinion), this really has to be one of the best 'Learn Italian' audiobooks out there, and I have listened to a few in my time. So, a recommended read, err, listen! Great App but on Audiable you don't get the written grammar which is essential. Therefore I might get the App directly from Earworms. Very entertaining and motivating way to learn a few phrases and words. This makes an enjoyable alternative to listen and repeat mode of most language audios. I'll definitely be trying the next volume.